The Most Gorgeous Re-bloomer Ever! Which color of hydrangea is your favorite? Deep pink? True blue? Autumn burgundy? Lime green? There are so many to choose from. You could spend lots of time and money searching out the perfect plant for each color. Or, you could just buy a garden full of Everlasting Revolution Hydrangea (Hydrangea macrophylla 'Hokomarevo' PPAF) and have all of these colors on one plant! Specifically bred for the florist trade, the Everlasting series of hydrangeas hails from the Netherlands. Everlasting Revolution is a standout in this already stellar line of shrubs. Tough-as-nails but easy-to-grow, Revolution is a compact hydrangea that is equally at home in the garden or the patio pot. 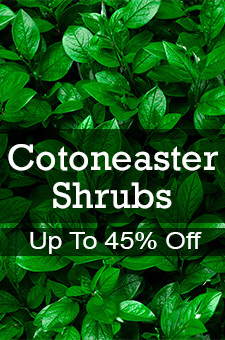 It thrives in partial shade and delivers perfect, healthy blooms all season long whether you leave them to change on the shrub or cut them to fill your vases. Repeat flowering hydrangeas can sometimes be a disappointment. They bloom all season, but many times they just bloom sporadically. Revolution blooms on both old and new wood and keeps the flowers coming. The thick, healthy stems hold the ever-changing colored flowers that fill a vase with one cut. The flowers are enormous and are strong and sturdy and they stay beautifully full and healthy whether on the plant or in the vase. Enjoy all of your favorite hydrangea colors in Revolution all season long from your own garden. Order yours today for summer blooms.